Combine the milk, 1 1/2 cups of the cream, sugar, brown sugar, coffee, vanilla and salt in a medium saucepan. Heat the base until it begins to steam, whisking continuously. When the base begins to steam, pour one- half cup out of the pan and into the egg yolks, whisk immediately. When completely combined, add the yolk mixture back into the rest of the of the base, and heat until the mixture reaches 170°F, or until it coats the back of a spoon. Remove immediately from heat and pour through a fine mesh sieve. Add in the remaining 1/2 cup of cold cream and let chill for several hours, preferably overnight. Once chilled, pour into your ice cream maker and run until it’s almost finished/solidified. 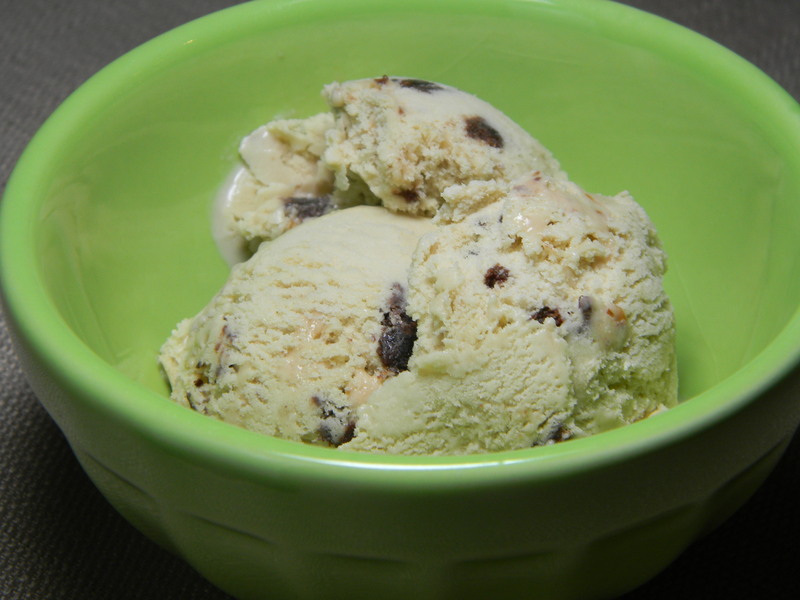 Place heath/toffee pieces into a container and freeze while you churn the ice cream. Remove ice cream and stir in heath bar pieces and brownie bites. If necessary, chill a bit longer.